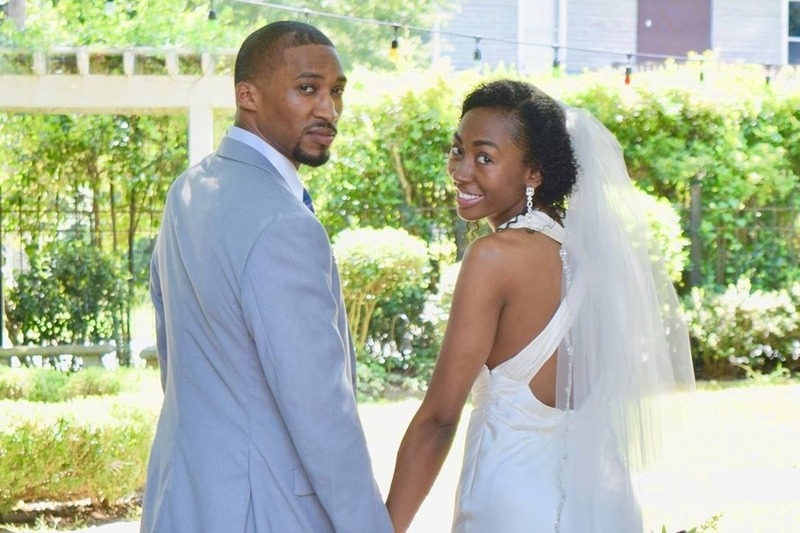 When Darrien and Sanchia said their vows and promised "till death do us part" it never crossed anyone's mind that their parting would be a short 9 months later. But God needed Sanchia in heaven! On Sunday, May 13th, 2018 Darrien and Sanchia were involved in a tragic car accident that resulted in the passing of Sanchia. Although Darrien sustained multiple fractures and had to undergo surgery, by the grace of God, he is healing well. Your generous donations will help cover funeral and medical expenses to see Sanchia laid to rest and ensure that Darrien can recover fully without the stress of various financial burdens. So many family members and friends have expressed sheer concern and a desire to give financially, so we thought that this would be a good avenue to do so. You can also send your generosity directly to Darrien via CashApp. Thank you so much for your love, thoughts, prayers and support during this time. May God bless you generously for your gifts of love. The funeral for Sanchia Washington will be held at Majority Baptist Church of Spartanburg, South Carolina. The service will begin at 11 am on Saturday May 19, 2018. Majority Baptist Church 400 Hudson L Barksdale Blvd Spartanburg, SC 29306 Please join us as we celebrate the homegoing of a beautiful woman of faith. Family and Friends, the funeral for Sanchia Washington will be held at Majority Baptist Church of Spartanburg, South Carolina. The service will begin at 11 am on Saturday May 19, 2018. Please join us as we celebrate the homegoing of a beautiful woman of faith. Hi Family and Friends! We were able to lower our goal amount. By the grace of God, the bulk of Darrien's medical expenses will be taken care of by the hospital! We are still in need of funds to lay Sanchia to rest and help Darrien to cover life expenses as he recovers and is unable to return to work. Details are being sorted out for Sanchia's funeral and will be communicated as soon as possible. We are aware that the funeral will be in Sanchia's hometown of Spartanburg, SC. Darrien is still in the hospital and is, of course, in a LOT of pain, but recovering well overall. Thanks again for your support. Please continue to share this cause. God bless you! Looks like we had a little glitch, donations are still being accepted.